The California Department of Fish and Wildlife is sounding the alarm about a new rodent that is moving into the state. This animal is very big trouble. It has the potential to cause a disaster in California’s farming districts and the Fish and Wildlife Department is declaring war. 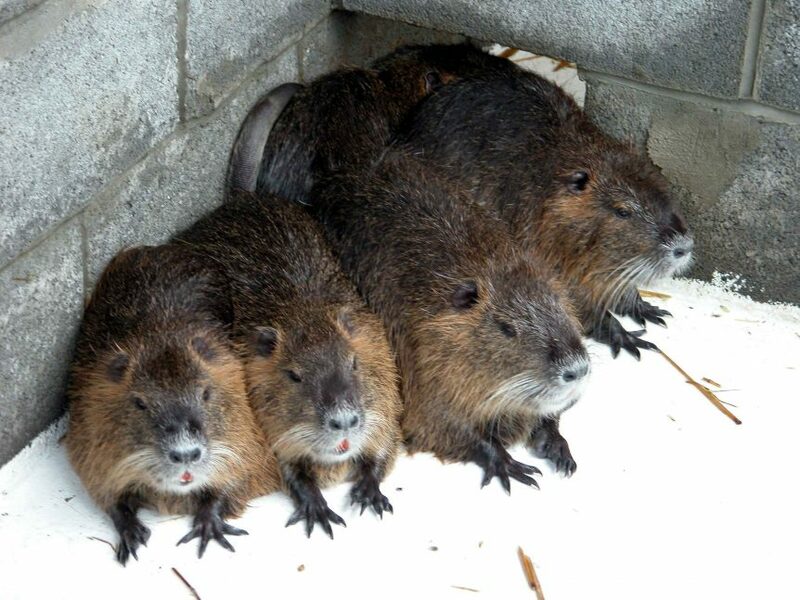 The Nutria is a large rodent – 20 pounds or so, 2 or more feet long, and with a ravenous appetite. It’s from South America but was brought to the United States because its fur is marketable – it’s like mink. They look like beavers and live in similar habitats – they are aquatic mammals, which is why they are such bad news. Fish and Wildlife officials say that If Nutria get established, they will cause the loss of wetlands, create severe soil erosion, and damage agricultural crops and levees. They are destructive, wasteful feeders that destroy up to 10 times the vegetation they consume. Typically Nutria live in wetlands and will construct burrows with entrances below the water line. Like their aquatic cousins, nutria often create runs, or paths in and out of the water or between aquatic sites. These habits damage ditches and waterways where they have become established. Nutria have been released and flourished in diverse areas in North America. colonies have become established and wreaked havoc in Louisiana, the Chesapeake bay, and the Pacific Northwest. Since March 30, 2017, more than 20 nutria, including males, pregnant females and juveniles, have been documented on wetlands near Gustine. They’ve been found on the Merced River near Cressey, in the San Joaquin River south of Dos Palos, and in the San Luis National Wildlife Refuge. The full extent of the infestation is not yet known, but these sightings cover a large swath of California’s Central Valley. These critters breed year-round and can produce three litters in 13 months. In one year a female nutria can result in more than 200 offspring, and these new generations spread as far as 50 miles away.